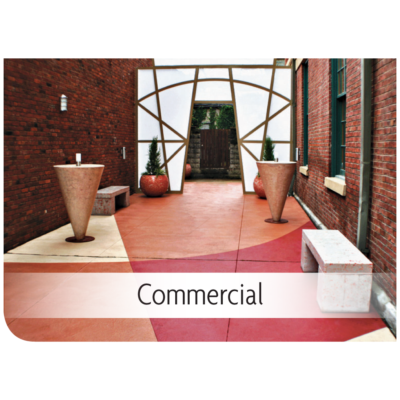 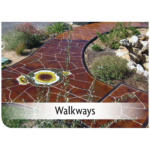 DECORATIVE CONCRETE MADE EASY. 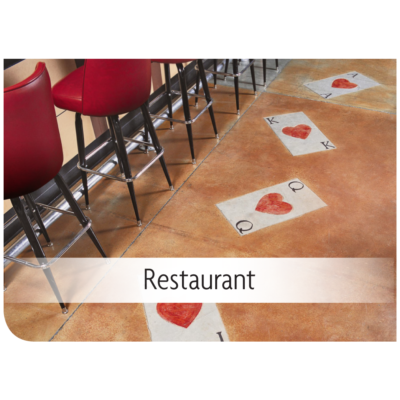 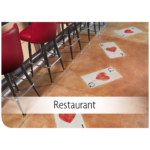 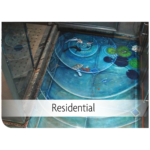 KEMIKO® Rembrandt™ Polymer Stain is an acrylic urethane, concrete floor polymer stain. 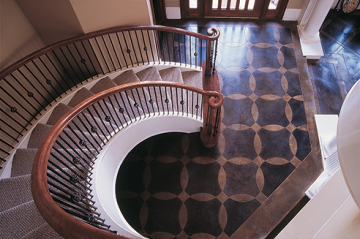 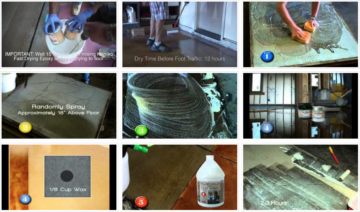 This interior/exterior stain is low VOC, low odor, high durability and can be applied using a variety of methods and techniques. 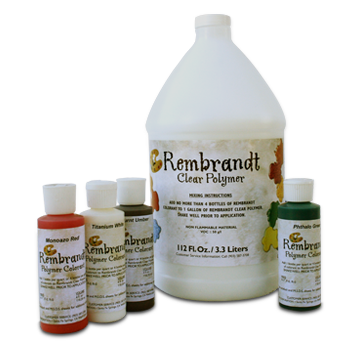 Rembrandt is formulated for excellent adhesion and uses high quality pigments for color and UV stability. 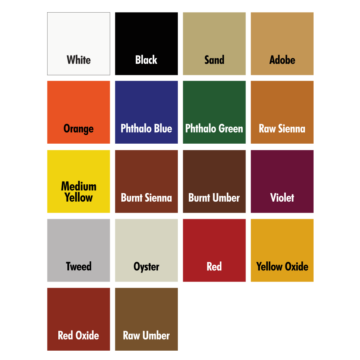 Stain colors are semi-transparent and can be intermixed to create unlimited custom colors. 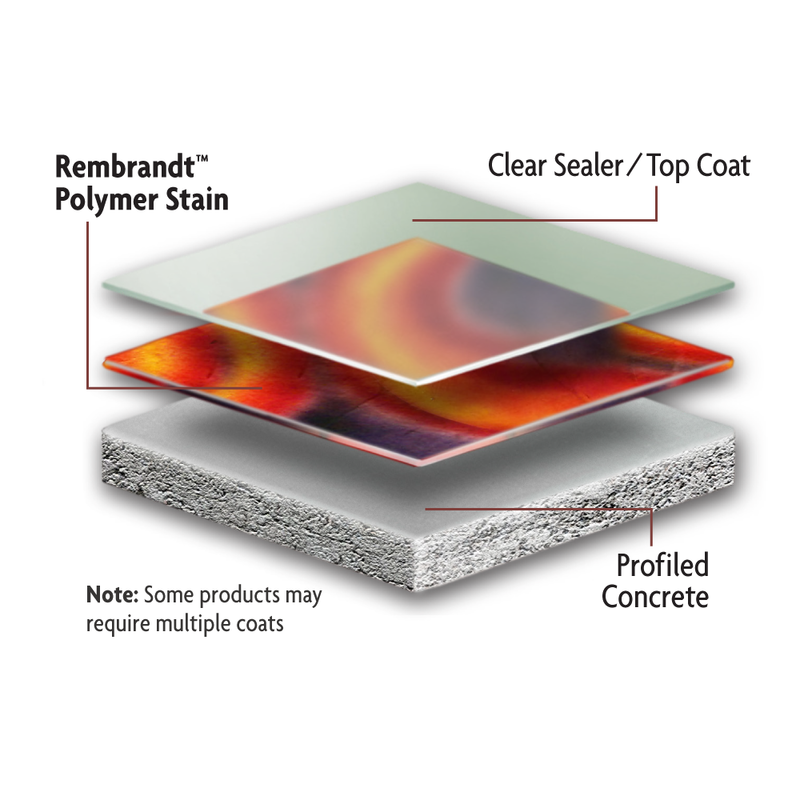 These concentrated stain colors are mixed with a polymer base for application. Available in 18 colors.